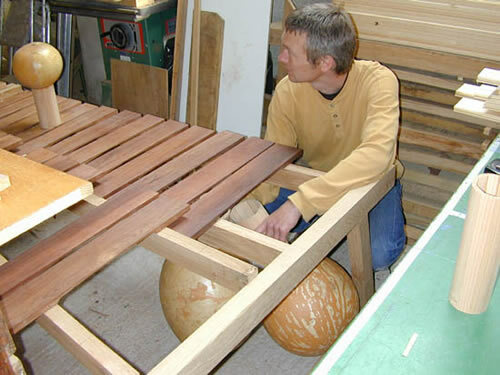 These are some photos of the construction of a Concert Marimba, made in the style of an African xylophone: i.e. with mirlitons (buzzers) and calabash (gourd) resonators. Commissioned by world famous percussionist Evelyn Glennie. 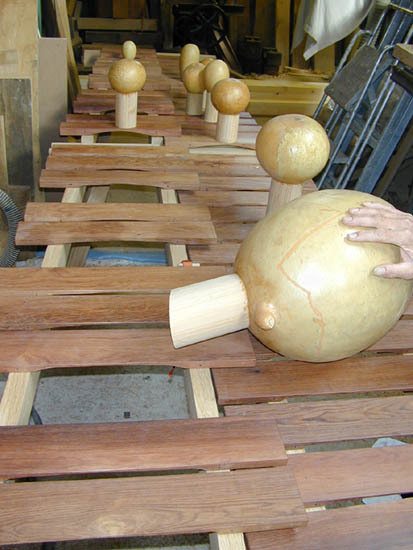 As you walked into the workshop the concert marimba took up most of the floor space. 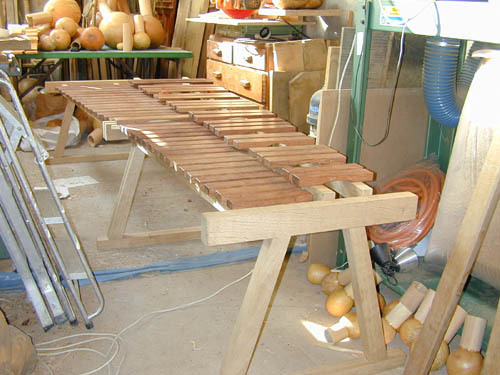 The bars were made of Honduran Rosewood with partials tuned to the double octave. 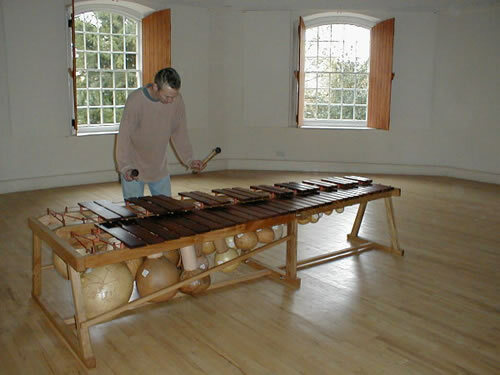 The resonators were calabashes with coopered Cedar of Lebanon tubes. 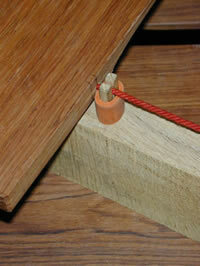 The frame is made of oak. The overall dimensions were 10 feet long by 42 inches wide at the bass end and 22 inches at the treble end. It stood 24 inches high. 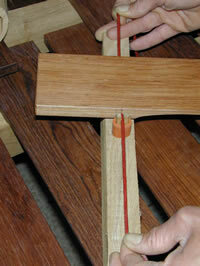 The frame was made in two halves, split at the central leg. It had 53 bars and the range was C2 (65.4 Hz) to E6 (1318.5 Hz). You can see some small calabash on the floor on the right and some larger ones piled up at the far end. Viewed from the other end, you can see the scale of it with some resonators balanced on top. The gourds were fitted under the bars as shown here. The gourds were shipped, by air freight, from Niger, Mali, Burkina Faso and the United States. The largest one was 14 inches in diameter with a four inch diameter coopered tube inserted; overall length about 20 inches. The smallest was about 2 inches in diameter.